The careful monitoring of the internal systems, the adjusting of excretory patterns for perturbations from intake, endogenous production, external losses, or metabolic consumption is called homeostasis. The removal of toxins is called clearance. Additional responsibilities of the kidney include maintaining systemic hemodynamics and producing several important endocrine molecules. Homeostasis is the response to changes in intake, losses, and metabolic demands in order to maintain a relatively constant extra-cellular environment. 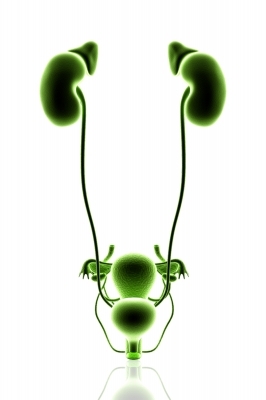 The kidney balances intake and production against losses and consumption. y Blood Flows in the kidneys generously receiving 25% of the resting cardiac output. Kidneys also utilize large amounts of energy and oxygen. Kidneys have 1% of body mass, each kidney having a high rate of blood circulation. Blood enters the kidney from renal artery, which branches into smaller vessels that give rise to the “glomerulus.” It passes total body blood volume every 4-5 minutes, filters 180 litres of blood per day and reabsorbs 178.5 litres of it. The kidney produces 1.5 litres of acidic (pH~6) urine per day. A 5% increase in filtration would generate 9 litres of urine per day although the regulation of kidney ensures that this does not happen. Once urine is formed, it passes into a cavity called the minor calyx, multiple minor calyces drain it into the major calyx which empties into ureters that drain the kidney. From there, the ureters empty into the urinary bladder where urine is stored. ◦ Glomerulus- A Twisted ball of capillaries which Delivers fluid to the tubule and Renal tubule which is Composed of a single layer of cells. There are 1 million nephrons in the kidney and they contain Water + urea, NaCL, KCL, phosphates, etc. Function of the nephron is to Filter everything out and take back what is worth keeping through reabsorption of water and salts and secretion of additional unwanted substances. Each nephron filters blood to generate a “filtrate” composed of water and solutes (glomerular filtration), which then passes through a tubule that progressively modifies the filtrate, mainly by reabsorbing desirable solutes and water. Being complex organs in structure and function, the kidneys have a deep interwoven relationship with the circulatory system. Kidney disorders can occur silently 0ver time developing into a chronic condition. Chronic kidney disease (CKD) is a condition characterized by a gradual loss of kidney function over time . It refers to damage to the kidneys and a decrease in their ability to keep the body healthy by only partially performing their functions. If kidney disease gets worse, wastes can build to high levels in the blood resulting in a sick feeling. Complications such as high blood pressure, anemia (low blood count), weak bones, poor nutritional health and nerve damage can develop. Also, kidney disease increases the risk of having heart and blood vessel disease. These problems may happen slowly over a long period of time. Chronic kidney disease may be caused by diabetes, high blood pressure and other disorders. Early detection and treatment can often keep chronic kidney disease from getting worse. When kidney disease progresses, it may eventually lead to kidney failure, which requires dialysis or a kidney transplant to maintain life. The two main causes of chronic kidney disease are diabetes and high blood pressure, which are responsible for up to two-thirds of the cases. Other conditions that may affect the kidneys are: Glomerulonephritis, a group of diseases that cause inflammation and damage to the kidney’s filtering units. These disorders are the third most common type of kidney disease. Inherited diseases, such as polycystic kidney disease, which causes large cysts to form in the kidneys and damage the surrounding tissue. Malformations of organs in womb such as a narrowing that prevents normal outflow of urine and causes urine to flow back up to the kidney. This causes infections and may damage the kidneys. Obstructions caused by problems such as kidney stones, tumours or an enlarged prostate gland in men and repeated urinary infections. Most people may not have any severe symptoms until their kidney disease is advanced. However, some indications are such as feeling more tired and having less energy, have trouble concentrating, have a poor appetite, have trouble sleeping, experiencing muscle cramping at night, swollen feet and ankles, puffiness around your eyes, especially in the morning, have dry, itchy skin and needing to urinate more often, especially at night. CKD can be detected by calculating the Glomerular Filtration Rate (GFR). It is the best way to calculate kidney function. It is calculated from blood creatinine, age, race, gender and other factors. GFR establishes stage of kidney disease and helps the nephrologists plan treatment. GFR in people with increased risk of CKD due to other conditions such as diabetes, high blood pressure, family history, older age, ethnic group) is more than 90. Those with kidney damage with mild loss of kidney function it is 89-60. Mild to moderate loss of kidney function may give a GFR value of 59-44 and with moderate to severe function loss 44-30. A severe loss of kidney function denotes GFR value of 29-15 and kidney failure below 15. A GFR below 60 for three months or more or a GFR above 60 with kidney damage (marked by high levels of albumin in your urine) indicates chronic kidney disease. A simple urine test will also be done to check for blood or albumin (a type of protein) in the urine. When you have albumin in your urine it is called albuminuria. Blood or protein in the urine can be an early sign of kidney disease. Also an ultrasound or CT scan can be performed to get a picture of the kidneys and urinary tract to establish size of kidneys , whether too large or too small, detection of kidney stone or tumour and whether there are any problems in the structure of kidneys or urinary tract. Sometimes a kidney biopsy may be performed to check for a specific type of kidney disease, see how much kidney damage has occurred and help plan treatment. To do a biopsy, the doctor removes small pieces of kidney tissue and looks at them under a microscope. AKI can also be caused by Direct damage to the kidneys due to conditions such as Acute glomerulonephritis (inflammation and damage to the kidney glomerular membrane) or Acute interstitial nephritis (allergic reaction that can be caused by several drugs) or Sepsis (total body response against infection which can cause poor organ function or poor blood flow) or an enlarged prostrate or kidney stones. other preventive measures include Staying well hydrated – drinking a lot of water and avoid long term use of drugs that are toxic to the kidneys such as NSAIDs (ibuprofen, naproxen) or herbal remedies or supplements. Kidney failure is a term referred to a condition of 85-90% of impaired kidney function. People with this condition have to undergo Dialysis treatment which removes excess wastes and fluid from the blood. With sufficient treatment, overall health improves and patient will have more energy to cope with life. Inadequate dialysis may result in accumulation of excess wastes and fluids in the blood. In addition, studies have shown that receiving adequate dialysis treatment increases lifespan of the patient. Dialysis dose is established by a test called Kt/V.. Another test used is called urea reduction ration (URR). Three major types of treatment are available for patients with kidney failure. They are haemodialysis, peritoneal dialysis and kidney transplantation. Haemodialysis may be done at a dialysis center or at home, and treatments usually take place three times a week. Peritoneal Dialysis may be done at home, at work, at school or wherever a clean, private space is available for bag exchanges. The two types of peritoneal dialysis are automated peritoneal dialysis (APD), which requires the use of a machine, and continuous ambulatory peritoneal dialysis (CAPD), which is machine-free. It is important to note that treatment does not cure kidney failure and that each type of treatment has its benefits and drawbacks. Each choice has to be carefully weighed. Kidney failure interferes with the body’s natural immunity, increasing chances of some infections such as hepatitis or AIDS through dialysis treatments. Those in line for dialysis are vaccinated before hand for such diseases which may be acquired through blood transfusion. Almost all patients and their families have fears before starting treatment as to how long one can survive with the disease and it is normal and expected. In such a situation referral to the dialysis unit where treatment will take place by the doctor should be consulted who have already been through it. Diet with less salt, avoiding high potassium and phosphorus foods and limited intake of fluids can be severely harsh on the patient. Small amounts of restricted foods can be had topped with spices and tangs suitable to one’s palate. Frequent Mood changes are also common among kidney patients due to Uremia or the build up of waste products in the blood, making them irritable. The stress caused by chronic illness itself may lead to frustration and mood swings. The experience of having an older parent with chronic illness can be difficult. Treating them with dignity and respect while, at the same time, taking more responsibility for their care, requires a delicate balance of patience, sensitivity and frankness especially with the elder caretaker in the family. Kidney risk groups must avoid alcohol, pain killers such as analgesics, Nonsteroidal anti-inflammatory drugs (NSAIDs) and over the counter medication. Present in drinking water, it is believed that Sodium bicarbonate can reduce the progress of kidney damage. 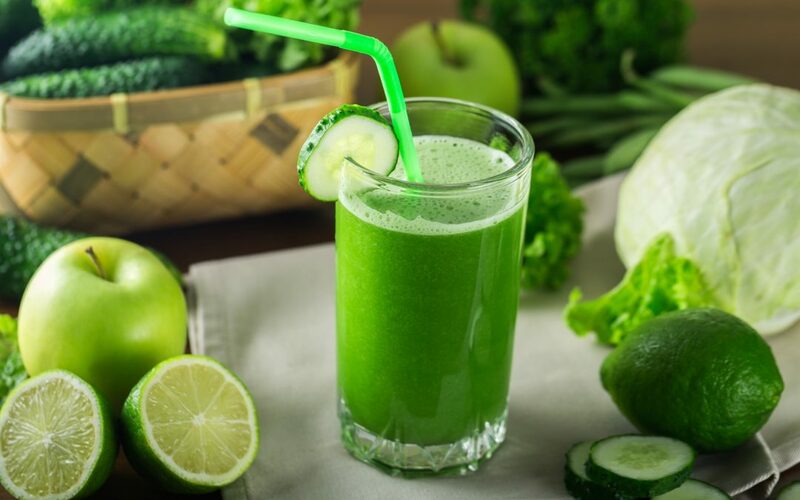 It results in higher O2 levels through increased alkalinity to the cells. New research by British scientists at the Royal London Hospital shows that sodium bicarbonate can dramatically slow the progress of chronic kidney disease. Herbal supplements are a big no for kidney patients. People with high risk of kidney disease or those who are already kidney disease patients should not use herbal supplements. Use of herbal supplements is unsafe if you have kidney disease since some herbal products can cause harm to your kidneys and even make your kidney disease worse. Also, your kidneys cannot clear waste products that can build up in your body. Herbal supplements may contain Potassium or Phosphorous, minerals that can put pressure on the kidneys and worsen their condition. Some supplements made in lax conditions may contain heavy metals. 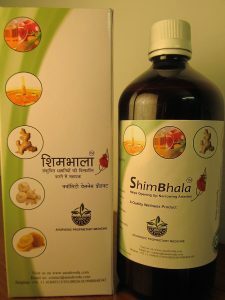 Mechanisms of action have been studied in clinical studies for some herbs. 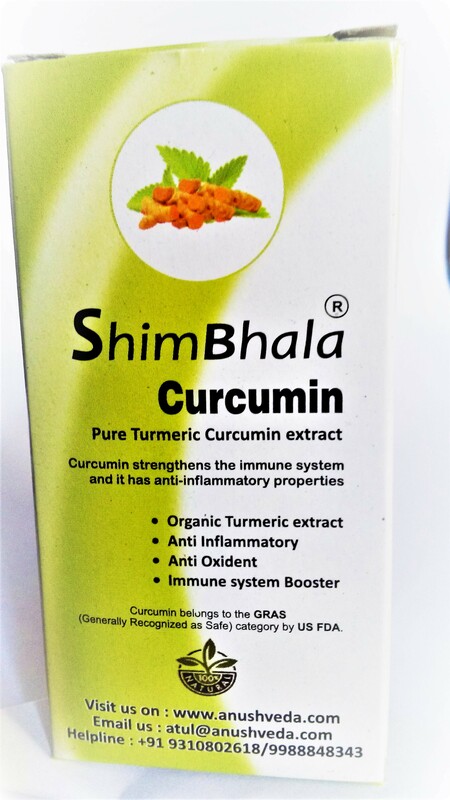 Their effects are mainly related to anti-inflammation, antioxidation, antifibrosis, regulation of immune system, anticoagulation, and improvement of metabolic disturbance. Active ingredients purified from herbs that have been studied in CKD include saikosaponin a and d (SSa and SSd) and triptolide. However, the active compounds in many decoctions or patent medications are still unknown, and clinical trials demonstrating their efficacy for treatment of CKD are limited. Kidneys are sensitive organs. We need to evaluate and take informed decisions on medications being prescribed by doctors and ensure that no harmful drug is being given. For example doctors may say that PTH hormone level is high and prescribe Calcium Channel Blocker, such as amlodipine which needs to be avoided and substituted by ACE inhibitor such as Quinapril, and Accupril. The Parathyroid glands control calcium levels in the body. Thyroid gland will release calcium into the blood stream from the bones to maintain calcium balance, after calcium is blocked to the heart by drugs such as amlodipine. More PTH will be released, side effects shall be controlled by another drug and so on until all accumulatively start having a derogatory impact on kidneys. According to Brig AS Narula one lakh patients with end stage renal disease report at hospitals every year. In a community based study by Agarwal et al , from Delhi in Northern India the prevalence of earlier stages of CKD was reported to be 7852 per million population. Brig AS Narula further observes that India has a rising burden of chronic diseases such as hypertension and diabetes. The increase in number of CKD patients can be partially attributed to the epidemic of chronic diseases and the aging population. India has the largest number of diabetics in the world with a prevalence of 3.8% in rural and 11.8% in urban adults. The prevalence of hypertension has been 12-17% among rural adults. It is estimated that 25-40% of these patients are likely to develop CKD, with a significant percentage requiring renal replacement therapy. The health care system in our country is not designed to provide the required level of care for CKD at the primary or secondary level. In developing countries various health care programs have been devoted to communicable diseases, nutritional deficiencies and population control and recently to acquired immunodeficiency syndrome. For non communicable diseases such as diabetes, hypertension and CKD the focus has been on developing advanced treatment facilities at the tertiary level. The staggering costs incurred in developing these centres of excellence needs to be recognized thus making it imperative to shift the approach from provision of renal replacement therapy to early detection and prevention of CKD. This approach may additionally reduce the morbidity and mortality of underlying conditions such as diabetes and hypertension, which is related directly to the presence of albuminuria or degree of renal function impairment.